The world and how we do things has changed. 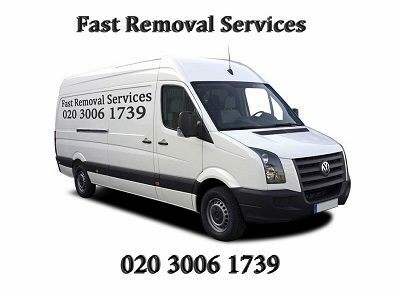 At Fast Removal Services we understand that and create services to meet the ever-changing needs of our clients. One of the services we offer that has taken on new dimensions and life is that of delivery and collection services in London. This type of service is now more than the traditional “courier” service. The deliveries and collections service that we offer clients in London and the rest of UK is designed for the individual or business that has purchased or sold an item that needs to be either collected or delivered. We live in the age of the internet and the online auction. Thousands of items are bought and sold every few hours on sites such as Gumtree and eBay. Often single items are sold and one of the conditions of sale is that the buyer has to collect the item. This can be very costly and practically difficult or impossible. What if the buyer doesn’t have a car, lives in a remote location or a long way from the pick up address? What about large and heavy items? This is where our courier service comes in. We offer a personal, affordable and flexible way to collect or deliver single items regardless of their size or location. Our collections and delivery staff are professionals: efficient, punctual, and reliable and they treat our client’s items with care and respect. The item will be delivered to the address the client nominates, usually on the same day or the day after the request and service order was placed with us. If you require the delivery and collection services, contact Fast Removal Services on 020 8884 9141 or via our website and our friendly staff members will be happy to assist you!